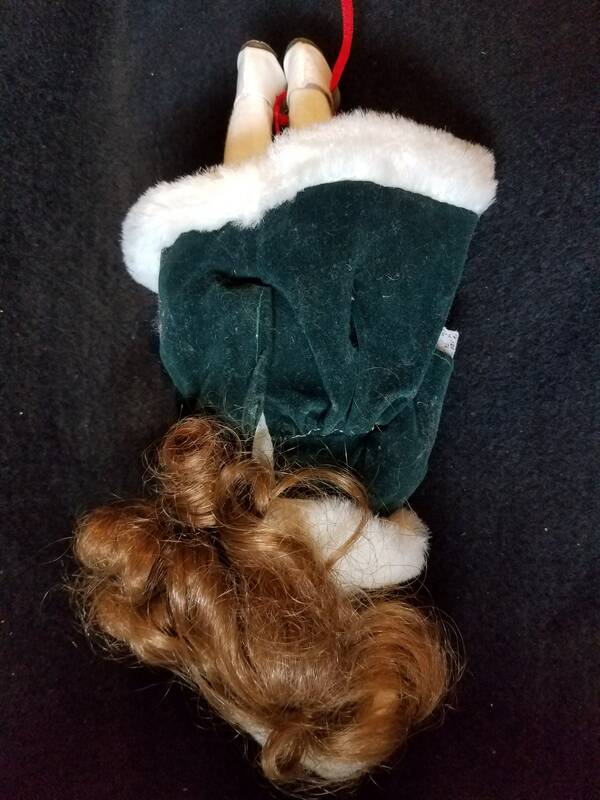 This is a very pretty Christmas doll dressed in green velvet with faux fur white trim. She has a mark on the back of her head, but even with a loupe, I couldn't make it out. I believe the date is 1993 or 1998 but there are some letters above it that I cannot make out. 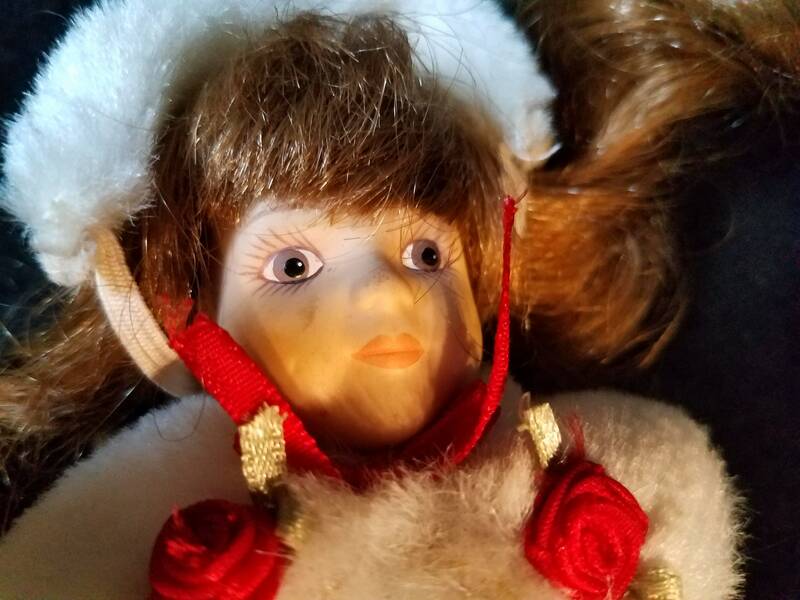 I searched for the doll by year, but still no luck. She is made from hard plastic, her legs and arms do move. body is stuffed fabric. 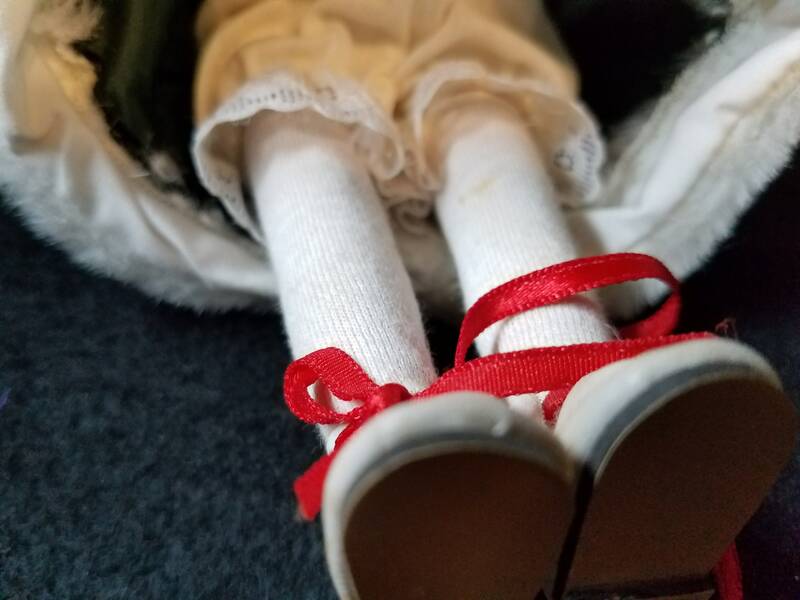 Her shoes are hard soled with ribbon laces.. She has a lot of long curly brown hair. She is wearing white tights with bloomers under her coat. She is in great condition except for the white fur hat is a little dirty. 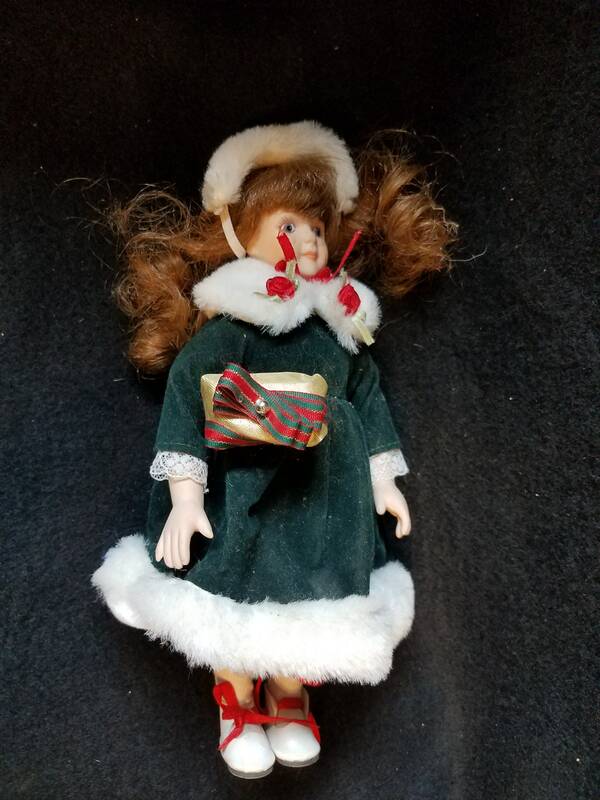 I found her in a box of dirty dolls. I am sure it can be washed.